There is so much incorrect information about the Maya online. This causes me much frustration, particularly as teachers (KS2 History Maya Civilisation) unknowingly are teaching these inaccuracies in the classroom and thousands of children are learning untruths about the Maya. There should be some sort of standard set for these ‘educational’ online resources, in order that teachers are given the correct information about these ancient cultures. As mentioned in a previous blog post – How to spot untrustworthy resources on the Maya – the Maya seem to get a raw deal when it comes to the study of ancient cultures. They are lumped with the Aztecs in regards to bloody sacrifices and any of their achievements are thanks to the Olmecs, an earlier culture that did not live in the Maya area. The Maya were only 1 of 5 cultures in the world to have independently developed a writing system where they could write anything they said, they were only 1 of 2 cultures in the world who created the number zero, they had an elaborate and accurate calendar system, they built cities in the rainforest and some of the largest pyramids in the world – so why are they given such a raw deal? The Britonians, for this is what the people were called, inhabited an area that is now called England. In 2500 BC, when great civilisations of the day were building pyramids 500 feet high, the Britonians were placing abandoned stones upright, sometimes, if they were feeling artistically inclined, these stones were arranged into shapes, such as squares, rectangles or circles. There were no carvings or inscriptions on these stones or anything of interest. It appeared that all the people were doing at this time was getting drunk and binging on food, evidenced by the abundance of drinking and food vessels found in archaeological excavations. Very rarely would an archaeologist find the remains of a skeleton without a drinking vessel (beaker) in their hand, hence the term ‘Beaker culture‘ for these people. These standing stones may have been the result of drunken gatherings, perhaps, some of the men would test each other’s virility by challenging each other to move one of them. Or perhaps, the stones that were found in alignment across the landscape might represent the exit areas, being used as a support to hold people up on their drunken way home. The Britonians then were very primitive, unlike other cultures in the world with their great cities, architecture, art, writing and maths. Fortunately, in AD 43 the Romans conquered England and helped to civilise them, particularly in regards to hygiene, as the Britonians were extremely dirty and smelly. The Romans constructed many aqueducts and a great sewage system and pleaded with the natives to use them. The Romans were also surprised to see that apparently educated members of the society would dress up in silly outfits and carry out human sacrifice, which included humans being burned alive in a large wooden effigy, the wicker man, a god to these people. 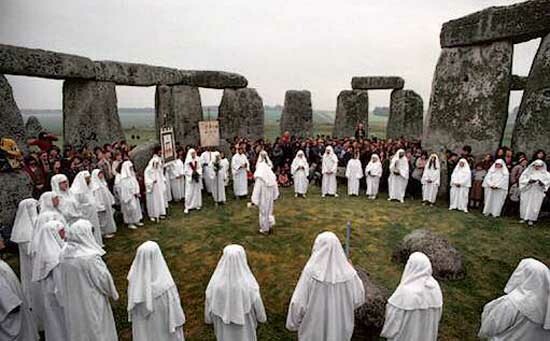 These druids also aligned themselves with the drunken beaker people and their misshapen stones. Later a religion was introduced that revolved around a god sacrificing himself for the people and so effigies of this gory scene were placed in every temple and re-enactments of this sacrifice was carried out annually. There were also extremely gruesome daily rituals, which involved cannabilism, in these temples. The pinnacle of the ritual involved the people eating parts of the body of the god as well as drinking his blood! Is Catholicism or Druidism portrayed accurately here? The Romans withdrew from England in the 5th century AD, in the hope that the Britonians could rule for themselves, but this period became known as the Dark Age. The people reverted to being savages again, losing the ability to make fire and so in the darkness they constantly tripped up and bumped into each other. Thankfully, the Britonians were saved again, this time by the French who conquered England in 1066. William the Conqueror tried to civilised the people again and taught the English how to speak properly. Although the Britonians spoke now rather than grunted, they still remained quite ignorant. The obvious explanation for the Black Death of 1348, was god’s anger and in response many people were left to die, particularly lepers, who were offered up to god in penance. Were the Maya the only superstitious people in the world then? One would have hoped that the Britonians would have moved into an “age of rationality” after the Black Death and look to practical causes of disease and illness. Unfortunately, this was not the case, from the mid-1500’s onwards, if there was sickness or crop failure in the community, women who lived alone, kept to themselves, or had more than two brain cells, were blamed. The church encouraged this calling the women who gave remedies to a whole host of diseases in both humans and animals, ‘witches’, evil people who had made a pact with the devil. 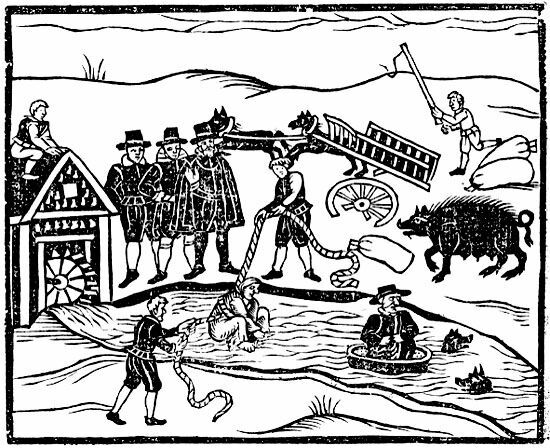 Evidence of guilt was also ludicrous, for example ‘swimming the witch’ widely practised in England, which involved tying the witches wrists to her ankles and throwing her in the water. If she sank and died she was innocent, if she floated it was confirmation that she was a witch and hanged! 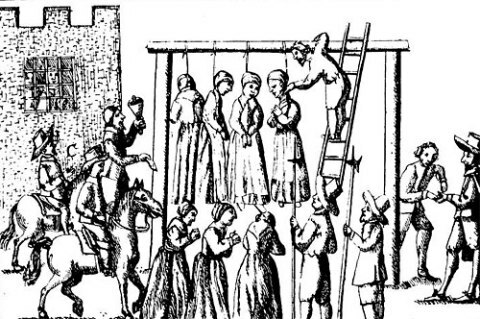 The government even went as far as to hanging women who were accused by children, one such case in 1612, the Pendle Witch trial, involved a 9-year-old, Jeanet Device accusing her family and others of witchcraft. 10 people were hanged as a result! Aside from being extremely superstitious, the Britonians were terribly blood-thirsty, evidenced in their most popular entertainment of the day, that is public shows of people being hanged or guillotined, where the head would roll down the steps and the first person to catch it would receive good luck. If anyone missed a show, then the government made sure that these heads were placed on spikes along London Bridge for anyone to see at any time. 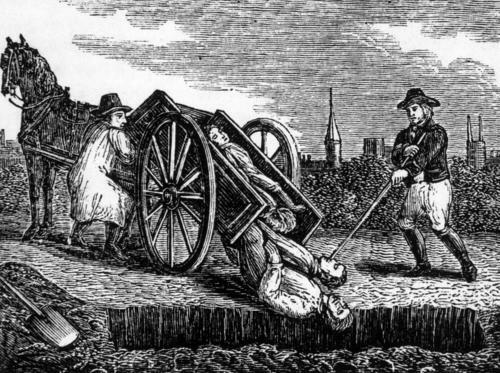 Another favourite pastime was ‘hung, drawn and quartering‘, which involved a person being fastened to a wooden panel and drawn by horse to the arena where are the public were waiting expectantly. They were hung for a bit and just before dying they were then taken down beheaded, disembowelled and chopped into 4 pieces. Each piece was taken as a prize to be displayed in popular places across the country. I bet the Maya don’t seem so blood-thirsty now! The one thing that has eluded archaeologists is how such a primitive and blood-thirsty people could have later built such great structures such as Buckingham Palace or St Paul’s Cathedral. We don’t see anything quite like this in other areas of the world and so we can only put it down to extra-terrestrials. There have been historic sightings of space-ships in the area, so we can only assume that the Britonians were aided by aliens! So, how do you feel about reading this…a little frustrated…a little indignant? A little annoyed? Welcome to my world!!!!! Meet the Maya at Stratford-Upon-Avon Archaeology: Learn, Practice, Excavate! 20 Responses to "What if British history was told the same way Maya history is told?" Hi Natalia, Thank you for your comments, I am glad you enjoyed it. Yes, the Maya were only one of two cultures in the world (the other being from India) that created the number zero. The Maya also had a vigesimal number system and only used 3 digits. Introducing their maths system to the class could be quite a lot of fun! You missed out the Saxon/Jute/etc invasion which happened the minute the poor natives were left to fend for themselves when their paternalistic benefactors, the Romans withdrew. While we are at it shall we realise that the Britons continued and expanded their learning and knowledge so that eventually archaeologists from Britain, Europe and North America were able to rediscover Mayan archaeology, even train “Mayan” archaeologists. What a silly piece this was of yours. 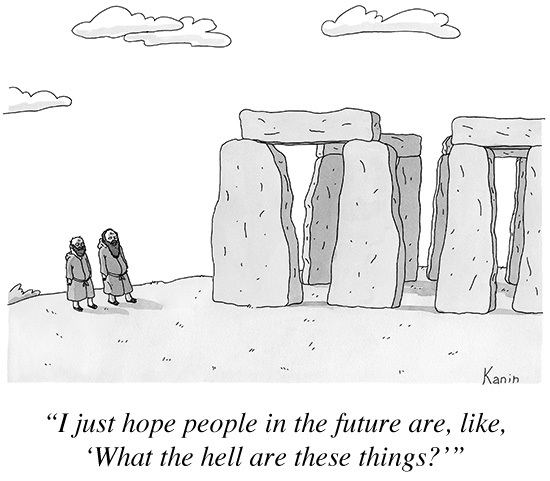 Of course there are gaps and different spellings in British archaeology. What there isn’t is an undue reverence for the past “achievements”. Thank you Edwin for your comments – you have taken the bait! Thank you so very much for this website. I did my graduate work at the Classic Maya site in Copan, Honduras. The architecture is magnificent. The workmanship at the site was done, like at all Maya sites, with stone tools. The Maya were a brilliant, creative, and talented culture. I am proud to have worked at the breathtakingly beautiful Copan site. Thank you for sharing. You are welcome, Copan is a wonderful site! Who was your advisor? My advisor, Will Andrews carried out a lot of research there. A lot of people do write about British history like that – especially about the ancient Britons and the Middle Ages. what makes you think they don’t? Thanks for your comment, I am sure they do, but my point is that we should stop and look at our history before we judge others. For example, the Maya are portrayed as blood-thirsty in the media and I have teachers and children telling me about how gruesome and savage-like they were, with no thought to what we have done in our past…. Could not agree more. The way Meso-American history is taught (even in modern Mexico and Central America) is scandalous. Of course, if the Maya were treated like the Adena Civilization of the Ohio Valley, they would be divided into two cultures called the Stephens Culture and the Cortez Culture. This is terrific even though my DNA is 50% British! You are amazing and I glad to share this! You should do America next. We need to see it from an outside point of view. Hi Debbie, Thank you for your comments and for sharing this with others. Debbie, you should do a search for nacirema to find a brilliant article about american culture from an anthropological perspective. Saxons were invaders from Northern Europe right after the Romans left/ They missed them out, along with the later Vikings/Danes which at one point controlled the entire North of England plus bits further South..